This romantic love song is written from Elizabeth's imagination dealing with the challenge of separation of true love during wartime. The haunting instrumentals of cello and violin play underneath enchanting vocals. You'll need a kleenex with this song." Well, "Teach", you have once again produced an exceptional song, video, vocal that should become part of a war movie in the future.....It says a lot about our troops who must leave home and loved ones to serve their nation...without the assurance they will return - whole or damaged physically or emotionally. Best of luck with this absolute gem. John Tyler P.S. I always click "LIKE"...hope others do, too. Every time I hear this song and watch the video, it brings me to tears. It is a very touching song. Love it! I just heard it on iTunes and I got chills from your incredible voice!!!! I'm afraid to think what will come, when I see the movie. . . ? 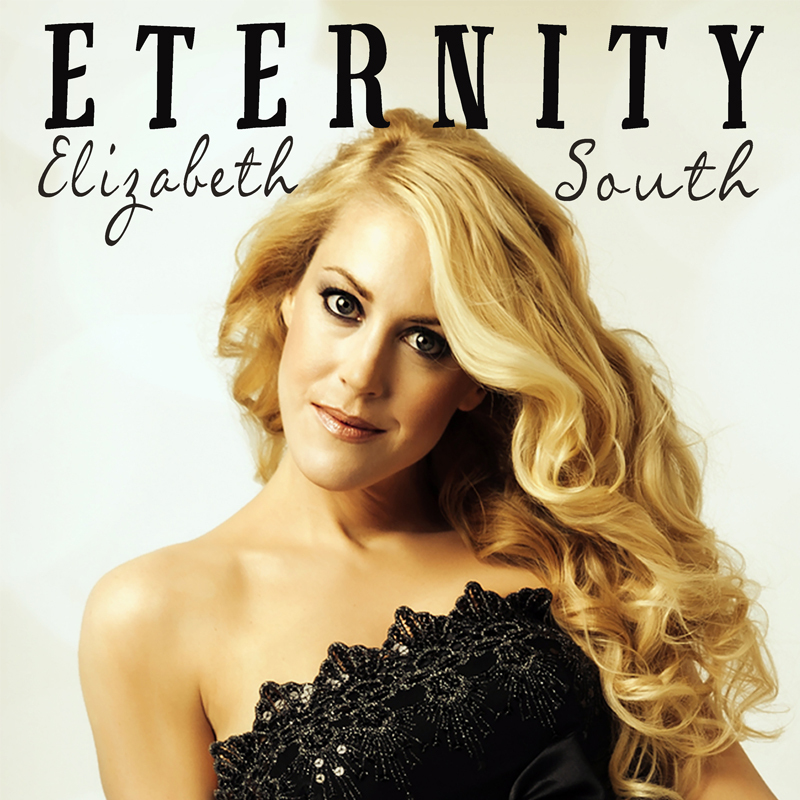 The newest release from Elizabeth South entitled "Eternity" is sweeping, powerfully moving, and thought-provoking. It is a love story that has no end, and takes place at the onset of World War II. The hauntingly beautiful cello intro grabbed me immediately and held my attention. . . accented by the sweeping orchestral arrangement. This is the best offering yet from Ms. South, and the accompanying video (which she produced) is equally moving. As Elizabeth pours her heart into this amazing and BEAUTIFUL ballad, I am often reminded every day of how precious life is and how important my continued daily walk with God and knowing the truth of his Word is! I also know that I am not alone in any struggle that I may face. This beautiful song also reflects on a few family members who served our country with faith and perseverence as well as a few relationships that did not turn out like I had anticipated. I am forever grateful for this song in so many ways as well as my dear friend who took the time to shine her light on my life yet again, so that I may spend it in Eternity one day with God! “Eternity” is Elizabeth’s latest original single. This romantic love song is written from Elizabeth’s imagination dealing with the challenge of separation of true love during wartime. The haunting instrumentals of cello (Matt Slocum – Sixpence None the Richer), violin, and piano (Blair Masters) play underneath her enchanting vocals. You’ll need a kleenex with this song. You can download the song on iTunes and CDBaby. The song was co-written by Elizabeth South and Billy Smiley (from White Heart). Billy Smiley is the music producer. Billy Whittington was the mixing engineer for the song. The Music Video features the talented actors Sam Beman and Sarah Beman playing the role of the soldier and wife. Click Here to Watch the video (or see video at bottom of this page). Elizabeth South was the video Director, Producer, Cinematographer, and Editor. She also wrote the Screenplay/Story. Elizabeth’s part was filmed at Sarah P. Durk Gardens in Durham, NC. Sam & Sarah Beman’s part was filmed at Lake Pines in Columbus, Georgia. Thanks to Debi Ann Dinwiddie-Johnson for permission to film at Lake Pines. The WWII uniform was provided by David Steighan who also contributed to directing. Demetrius Sheppard and Donterrius Ruff also contributed to directing.